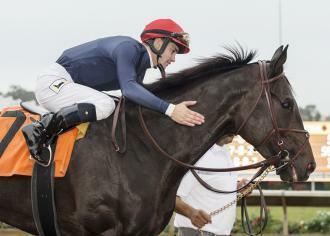 American Racing Journal - Horse Racing Tips - Expert horse racing tips laid out and how to play them - all the top tracks: Turfway Park Picks, Oaklawn, Gulfstream, Parx, Fairgrounds, Santa Anita, Blue Grass Stakes Picks and more! Sign up now for the Aqueduct full card plus more tracks and get picks this weekend : Saturday & Sunday picks too!- laid out and how to play them. Big Weekend of Thoroughbred Racing & Aqueduct full card tip sheet - Maddie May Stakes & Fairgrounds - Louisiana Derby Picks & feature selections for all of the top tracks: Santa Anita, Turfway, Parx, Gulfstream, Tampa Bay, Oaklawn, Fairgrounds and more . . over 80 races laid out and sent directly to your email/ mobile device. The Racing Journal does all the work and you get ARJ's 20+ years of experience in hitting the big races and long shots sent via text message directly to your email/ mobile device. Over 50+ races Saturday handicapped and laid out how to play em. Full card Aqueduct & Maddie May Stakes Picks and feature selections for all the top tracks: Fairgrounds, Oaklawn, Gulfstream, Laurel, Santa Anita, Parx and more. Long shot winners, exactas, triples, pick 3s and more..Breeders Cup we hit! Big Weekend $2,000 & $400 exactas at Del Mar & Breeders Cup, winners all day at Del Mar topped by a $2,000 exacta in the 6th Bar of Gold WOW! We blew the doors off . . last week we hit the Tampa Bay Derby winner -$40 Quip - Exacta $300 & Triple $450! ||| Triple Crown 2019 ||| Tip Sheet, sign up today! . . and receive expert horse racing picks every Saturday & Bonus Sundays for Triple Crown 2019 thru Belmont Stakes Day - and sign up now..BONUS. . . thru Belmont Stakes Day !! and get the Winter Aqueduct meet. . this is a limited time tenth anniversary offer!! - 50+ races handicapped every Saturday including full card Aqueduct/ Belmont picks and feature selections for all of the top tracks. have fun, win money, impress your friends! & sign up now and you will also receive a BONUS $2 un-cashed Preakness win ticket on the 2019 Kentucky Derby winner - the ticket has his name on it!! We hit the Rebel Stakes winner Magnum Moon , exacta & triple! We hit the Tampa Bay Derby winner QUIP($40), exacta($300), triple($554)..
Every Saturday sent to your email/ mobile device - All the top tracks from across North America! Long shot winners, exactas, triples, pick 3s and more! The American Racing Journal has been handicapping the horses for over 20 years and has the uncanny instinct to find the viable payoffs through his knowledge of owners, trainers, jockeys, breeding - win money and have fun .. with The American Racing Journal! The American Racing Journal is pleased to announce the launching of their new site. Join us & the Baron (Mike K) & Duck as we are really rolling and hitting winners ..last week..the Duck had the exacta and triple in the Preakness..on Breeders Cup weekend we hit 9 out of 14 races..we hit $400 exacta in the filly juvenile and we hit more exactas..including a $2,000 with bar of gold and amis mesa..!!. last year we hit $1 Million Canadian International..$77 exacta and $593 triple..last week big day at Gulfstream. ..a great way to prep for the Kentucky Derby and build our bankroll .. sign up now & all clubs are double picks... 1 Saturday = 2 Saturdays ..etc or sign up for the Month and get picks thru Belmont Stakes day! Read actual letters from our fans. I won over $6,000 thanks to your picks on breeders cup weekend thank you so much and i will use your picks again in the near future! best on line handicapper i have used- d franks- chi. I hit that $233 ex and everyone I was with was envious..:)..Thanks Lisa N. NM. Win money and impress your friends with the American Racing Journal's horse racing expertise! Read some of our testimonials from our very happy clients. Access top horse racing tips from anywhere in the world! The American Racing Journal uses the secure PayPal server to conduct on-line transactions- we never share any of your information with anybody! Get the Racing Journal's professional outlook on all the big races and the live long shots! See what it is like to win real money at the track and impress your friends with mad long shots. Own a piece of history with Triple Crown souvenirs, Preakness Stakes win tickets, Preakness win tickets, horse racing photos, programs and more. Impress your friends! Picks are sent to your email/ mobile device before each day's races. You will receive email confirmation. Sat () Over 50 races handicapped by the AmericanRacingJournal - Laid out and how to play em' winners, exactas, triples, pick 3s and more . . .
Full card 2019 Kentucky Derby Picks & Churchill Downs Tip Sheet - Saturday May 5th - Kentucky Derby horse racing tips handicapped laid out and how to play them - sent directly to your email/ mobile device. Includes feature selections for more tracks, Belmont, Churchill Downs, Gulfstream, Woodbine, Laurel, Hawthorne & Bonus Churchill full card & more . . .
Sign up for 1 month and get 3 months - Celebrating our 10 years online! horse racing tips every Saturday laid out and how to play them- winners, exactas, triples, pick 3s and more - sent directly to your email - all the top tracks and the big race days and the entire Major New York track (full card). We welcome all inquiries, comments, suggestions .. . please use the form below.. *(name & email are required). & send us your email & we'll send you free picks! .